based on 115 user reviews. 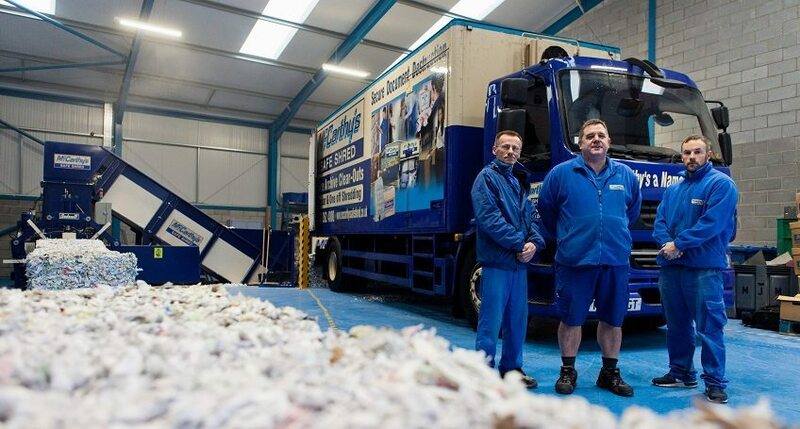 McCarthy’s Safe Shred is one of Yorkshire’s leading shredding companies, bringing with it a level of reputation and trust built from looking after many clients for many years. We are part of the McCarthy’s group of companies which is a family owned and run business, trading for over 50 years. McCarthy’s Home Shredding Services has come up with a simple way of securely shredding your personal and confidential documents. Small home shredders can often be time consuming, expensive on electricity and a laborious job when your time could be better spent. Our service is flexible to suit your needs so contact us to explain your requirements, but you can also refer to our handy guide below. Who? Ideal for smaller shreds if you are just having a quick clear out. Perfect for home offices and studies with larger collections of paper waste. How? Purchase our seal-able shredding sacks and fill for disposal (link below). Simply drop off at our branches in Leeds, Harrogate or Wakefield. We also accept paper waste in standard sized boxes. Arrange for delivery of our wheelie bins (minimum two) to be collected when full. One filing cabinet of paper will fit one of our bins. Price £10 plus VAT per sack / box. From £80 plus VAT. 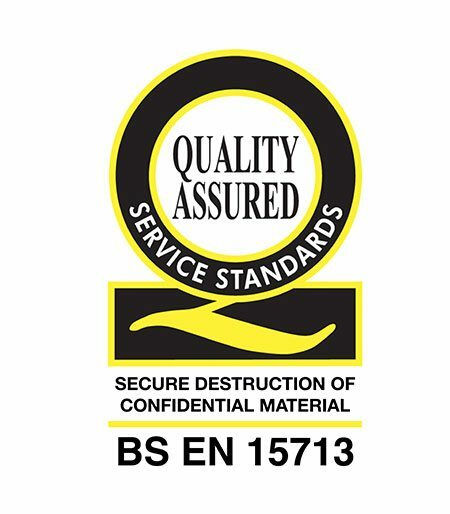 Accredited by Quality Service Standard: BS EN 15713. Cost effective as we use our own McCarthy’s shredding plant based in Leeds. A dedicated point of contact for your shredding needs at family owned and run company. Zero landfill. Our paper waste is recycled in the UK into items such as toilet roll and hand towels. Trusted by thousands of individuals and business in Yorkshire every day. Certificate of destruction is provided on request. Come see why you should Join McCarthys! thoroughly professional service. polite staff always ready to help (especially wendi) clean and tidy throughout. Wendi, Santa, and the team at Wakefield were all excellent. All very knowledgeable, friendly, efficient and helpful! The cost was also very reasonable and the storage excellent. We would definitely recommend them to others!